The simple fact that there is a new ANSTAM longplayer will wet the tastebuds of many musiclovers all over the world. Not releasing anything over the last two years ANSTAM only came to the public eye as the support act for Atoms For Peace and Moderat. 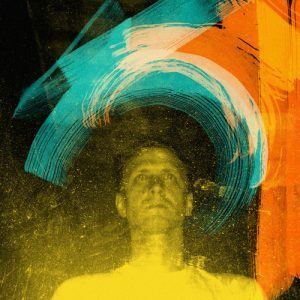 Standing on the shore of the big mainstream and all the little mainstreams, ANSTAM has worked the last two years on a more artistic approach – to sculpture a complex and well crafted cosmos, full of unique musical logics, physics and atmospheres. “NAMES” is the third ANSTAM long player from German artist Lars Stöwe, after the critically acclaimed “Dispel Dances (2011)” and “Stones and Woods (2012)” – and once again ANSTAM pushes things forward in its typically idiosyncratic style and operates the full arsenal of relevant modern music into a 10 course meal of delicious brain food.